Consider adding visuals to your grant application the problems in a way that doesn’t bore the grant reader is important; reading nothing but sentences filled with demographics can get dull and confusing, and grant readers have a hard time awarding money when they’re asleep. Luckily, graphics offer visual relief from chunks of text. Charts, tables, and maps break up text and make the grant reader linger longer on a page. Why is that good news for you? Because the longer someone reflects on your particular problem, the better your chances for receiving funding. Tables and other informative graphics are a great way to drive home a point about the target population and keep the reader interested. A comparison table shows how your target population area compares to a similar area in the same targeted region. 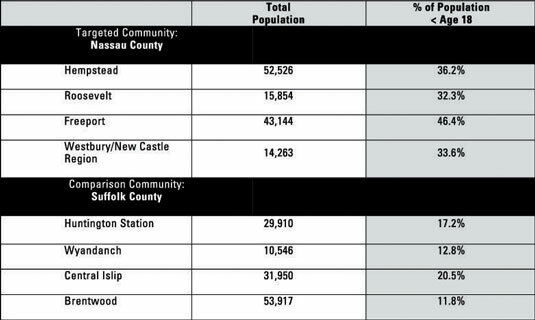 This table shows that there is a clear need for intervention in Nassau County. Use more than one type of visual element if you have a lot of demographics on your target population. Mixing up your graphics is a great way to make your statement of need emit fireworks for the reader. You can always search the Internet for chart types and how to create them, and don’t forget that a lot of spreadsheet programs also create graphs and tables of data. Maps of the proposed service area are also great graphics tools to use in your statement of need. Maps tell the reader where your services will be targeted or how far the problem area spans. Maps are easy to find on the Internet. You can use a map as a graphic insert or as a watermark that appears in the background of your text. If you use a map as a graphic insert, keep it contained to half a page or less. You can also add an arrow to point to the exact location of a county or town/city within a specific state. Look for maps that show the service area related to your problem or need. 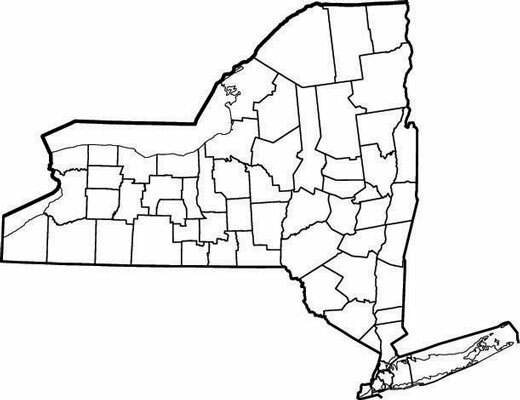 For instance, if the service area is statewide, use a state map; if the service area is regional, use a regional map. Also, remember that often federal grant-making agencies have online links to maps related to housing, crime, gang activity, and more. Limit your graphics to one per page. Reserve tables for large amounts of information. Use bar graphs and pie charts when you want to communicate age ranges by groups, income by groups, and numerical breakdowns of target population indicators. When you use statistics or a figure created by someone else, always cite the source. You can insert a credit line directly below each graphic, or you can insert footnotes. In some funding documents in which the formatting guidelines bar the use of footnotes, you can create endnotes or a reference page. Failing to cite the sources of statistics can cause your request to lose peer review points or to be denied funding support. If the funding agency doesn’t have specific instructions on reference citations, you can find all sorts of examples of various citation styles in writing stylebooks, online, or at the library. When the funder limits the number of pages you have to develop your narrative, you must improvise when it comes to sneaking in much-needed graphics. Try wrapping text around a graphic or typing text over a watermark graphic. Stay away from using photographs (including photo collages) of your actual clients. Without a permission to publish or a use-publically sign-off statement from each person in the picture, you’re liable to violate or breach a client’s confidentiality. Don’t overdo it with colors in your graphics. If you opt for a shaded header row in a table, don’t shade every row or column.